Last one for this year - submissions now open for Photo of the Month, December 2015. * This month we are seeking photos of: Former AOA buses#. If you submit such a photo, you may still submit 2 other new photos (3 photos in total). Submissions close midnight 24 November, Australian Eastern Standard Time, unless extended. Voting will commence on 25 November. Voting will close on 1 December. # In other words - a bus which used to have an AOA but now doesn't. Examples: 109, 394, 463, 896 & 982. A former AOA bus in its former AOA or just any bus which has formerly had an AOA? And do liveries count? OK, there is some ambiguity. So to take the widest interpretation: ANY photo of ANY bus which once had an AOA but no longer does. So it can have an AOA in the photo, or not. So long as it now doesn't. The entries for December are not shaped around the former AOA category. Bus 578 at City Canteen on one of the first days it entered service. Bus 572 leaving City Canteen with buses 972, 426, 944, 891 and 393 in the background. Bus 896, (A former AOA bus) Bus 330 (a former AOA bus at the time of photo) Bus 942, Bus 571, Bus 9## and Bus 966. 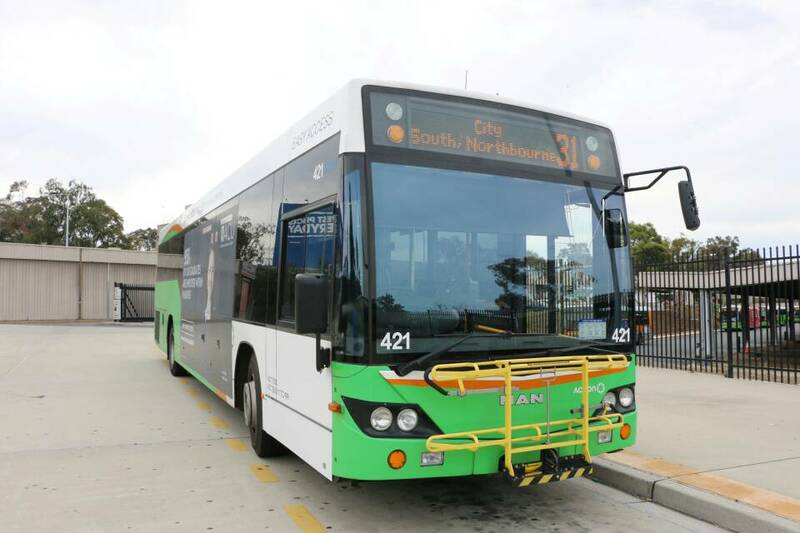 Bus 108 spotted resting at Anthony Rolfe Avenue Gungahlin. Thanks to all for embracing the former-AOA concept. Voting is now open - up to 5 votes per forum member. That's three in a row for King Of Buses. Don't know if that's happened before. In a slight change from previous years, Photo of the Year will now consist of 3 preliminary rounds - round 1 will commence shortly. And there will be another change coming for Photo of the Month next year.